When Is Weakness A Strength? How on earth can weakness be a strength? Maybe I should briefly fill you in on why Stella has vet bills because if you are not on my facebook you have no idea what I am talking about, and it is one of the reasons I have no been around much lately. I have been thinking about that statement and you know there was nothing strong about me starting the blog or focussed about me writing it. I was at my weakest point in my whole life. I was so totally broken, it was all I could do. Writing has always been my release, so I did what I know, the only thing I could do because my feelings were so raw, the only way I could let them out was to write them, puke all that toxic pain out on the keyboard. 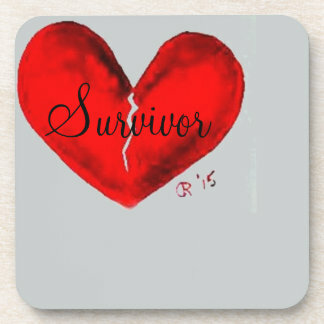 I didn’t realize it then, but most victims feel they are the only one who has ever felt that broken, that all alone; I thought if ONE woman found my blog and knew she was not alone what I was going through would not be in vain. No one is more shocked than me that I have reached as many people as I have. Six years I have had the blog and aside from my ex I have had only a handful of trolls, amazing for this type of blog, they seem to love haunting these type of sites. But I have been blessed with good, kind, caring people, people who have given me a reason to live when I couldn’t find any myself. I remember days where the only thing that got me through was a comment on my blog saying I believe in you, hang in there. I understand, I am sorry you are going through this.” Some kind words that told me I mattered and there were good kind caring people out there. I can’t tell you how many times I contemplated killing myself but didn’t want the people on my blog to think that was the only way out of the pain they were in. I had to find the way to be happy and at peace, I didn’t want to let all those people who believed in me down. Now, that I have survived 6 years, now that I have 2 million hits and over 2000 followers and now that I am past wanting to kill myself I get praise from the people in my life I HAD thought would be there all along. It was strangers who got me through the worst of it. I could have never imagined that from my utter and total destruction and from the black abyss I didn’t think I could ever pull myself out of, that I would find a bunch of people from all corners of the world each shining their own light of encouragement. At your weakest point, you are being your strongest. Every single day people come on this blog and from the depths of their despair they reach out to encourage someone else. How absolutely wonderful is that? Over 2200 followers, all of them feeling broken, so much healing happens here. It is such a wonderful testament to the fact that even though it may seem you may be surrounded by toxic soul vampires, there ARE good people out there. We can shine our own light of positivity and send the narcissist back into the black hole they came from. Light over powers dark every time. When we were kids we were afraid of the monsters under the bed but if someone came in the room and turned the light on, the monsters disappeared and we weren’t afraid any more. Believe in the power of your light and together, if we support each other, I believe that the narcissists of the world will be forced to slink back into their darkness. The only thing that gives them power is making us believe our light has gone out. I also wanted to mention that I have been a follower of yours for awhile now and I appreciate a lot of the honesty you talk about with your own experiences. I’m reaching out cause I’m very confused on what to do even though my story is not all like yours but I need just someone to try to understand. after leaving him 5 times I always went back 3 times I even returned home to my kids and left again to be with him to start the same struggle again and again the other 2 times I lmoved out but still kept seeing him even staying over at his place.. I don’t know what to do…so hard to explain everything .I just want to stop hurting feeling alone and i can have an economic stability …if I stay I’m not me….and if I go I’m not me…It’s like I’m F____d one way or the other please help..Please. Cause I’m tired of hurting my kids with comes and goes my grandkids my X husband … I just want to not wake up no more at times very hard to wake up . Hope this crazy writing is understandable. I don’t know if you’re religious, but I suggest you pray about it. And also ask yourself what you think the point of your life is. I say this, because if you feel like you should be living for GOD, then what Jesus said and the Bible should lead you to what action or inaction you should take. If you believe life is just about making sure you feel good, you’re probably going to follow your emotions wherever they take you. I would recommend being quiet for awhile. Give it a few months, stay with your family, get still and quiet with yourself and try to locate what you believe in, what you value and on what basis you’re making your decisions. I don’t think life is easy for anyone. Day in and day out there are things that worry us. Whatever you choose to do, I don’t suppose it will be smooth sailing. However, try to figure out what you believe in and try to stick with it in terms of living your life. In addition, I don’t think you want to hurt the people in your life that care about you because of the decisions you make. Try to consider all of these things. Needingsomehelp, Sorry for my slow response, I just do not have enough hours in the day it seems. Your story is not as rare as you may think, being that you went from one country to another several times makes it different than most but many victims of a narcissist go back and forth many many times before they break away for good. Many victims of a narcissist had a parent who was a narcissist, that is why we fall into these relationships, we had lots of training. You have the added pain of being “rejected” as a child and so you have a deep need to feel connected to someone, anyone. Yet I suspect you don’t have very high self esteem, which would make total sense; you don’t feel you really deserve to be treated well, you don’t want to hurt your children but you are which only contributes to your feelings of low self esteem and feeling you don’t deserve better. Stop. don’t make any decision just because you feel you should and feel pressured. You know from past history that to go back to the narcissist is only going to result in more abuse and you won’t be happy and more than likely you will come running back again. Learn from past mistakes and don’t make that mistake again. The pull will be strong, but you MUST think with your logical mind, you must sever all ties to the narcissist, no checking on FB, no phone calls, nothing!!! cut him from your life totally, he does not exist to you any longer, close that chapter. Choose to not be a victim any more, you can do this, you are in control of your own decisions and your mind, you do not have to be a victim any longer. If you insist on going back then you have to make the choice to never come back because you are making your family victims and destroying any relationship you have with them. The narcissist has to be cut from your life before you can go forward with your life. The narcissist is not an option, he can’t be. Once you have cut him from your life, then and only then can you begin to heal and mend the relationship with your children. I actually wonder about your husband/ex husband and what his childhood was like that he would be willing to take you back so many times, but you can’t make the choice to go back to him just because you need his financial help. I don’t know where you live and what is available to you but I strongly believe you need a good therapist who is familiar with narcissistic abuse, and who can help you find your true core self. In other words, who you are. I do have posts on finding your core self, if you go to the category “Self Improvement” and “Self Discovery” in the sidebar all the posts related to finding your true inner core self will be there. I firmly believe that true inner peace and happiness can not be found until a person finds their core self, who they were born to be and not what others have told them they “should” be. I did it without professional help but I don’t know if I describe it in a way that others can do it also and I don’t think many people understand what I mean by “core self” or how powerful finding it and loving yourself is, it is life transforming. you will find you no longer need a man in your life or anyone else to tell you that you are a good person and you will command respect and not settle for anyone treating you “less than” plus there will no longer be any confusion about who you are, you will be you and want to be the best you that you can be. After all, the old you hasn’t worked out so well for you has it? Seems like the perfect time to find the real, true you and embrace it. A large part of the process is being totally honest with yourself and those around you, without guilt, blame, or expectations. Whether you realized it or not, you did exactly the same thing to your youngest child that was done to you at 8 years old, )plus to you other children) you rejected them, over and over again and caused them unimaginable pain and undoubtedly it has left scars. It is totally within your power to end this cycle of abuse and abandonment. This kind of damage is not going to be healed quickly and although you were damaged yourself when you did it, you have to own your own actions and only you can repair the damage done. It has nothing to do with whether you love your husband or the narcissist, it has everything to do with the fact that you brought children into the world and that makes you responsible for their emotional well being, they did not ask to be brought into this world. In order to start to repair the damage and have a healthy relationship with your children you first have to own your actions without excuses and make a honest effort to improve yourself and heal yourself. When they can see that you are not going to leave them again and you are really working on yourself and if you are totally honest with them, they will start to respect you and open up to you and healing can begin. It all sits on your shoulders, you are at a crossroads in your life, it could be a whole transformation and time of great growth and healing or it can continue on the path of destruction and heartache. The past is the past and it can not be changed, we only have power over today and you can make today the day you set out to find your best self. You have helped me enormously without you I wouldn’t know I was a victim of malignant narcissistic abuse for the past 7 years. He moved out in January, and I was stupid for contacting him for administrative purposes (his mails, revocation of relationship), and just last tuesday he sent police on me seeking AVO on 3 false grounds. I just started recovering when this blow came from nowhere, or rather from his malignancy. Now I have to face court, although I sponsored him to Australia, at the time he.lied he was divorced, got him divorced from here, got him pension, Citizenship and when his narcissistic supply was satisfied he moved out. He has been infidel all the years along, denied words he said and almost destroyed my sanity, my business was collapsing, and he never took me to Europe for vacation where he travelled alone 4 times and had affairs with his exes,and lied to previous parents in law he was here on a business through sport sponsorship, yet lied to German Government he was here on student visa (at age of 66). I lived with the worst enemy and surely his aggresive and unexpected bursts of anger would kill me. My heart went wrong and had angioplasty, my blood pressure was uncontrolable and I barely survived. Previous PostPrevious Why Am I Not Enough?